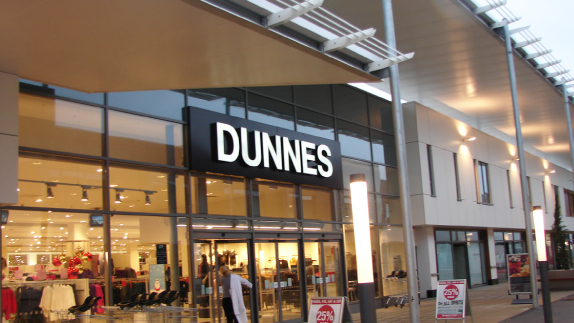 According to the latest grocery market share figures released from Kantar Worldpanel, Dunnes Stores is still the largest supermarket in Ireland in the run up to the festive period. 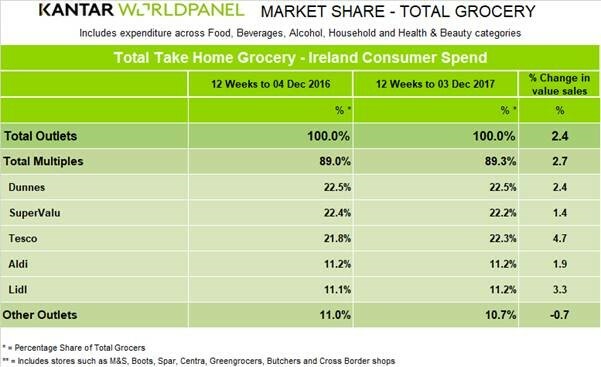 The supermarket has seen sales growth of 2.4 per cent in the 12 weeks ending 3 December, with shoppers spending €2.30 more per visit compared with last year. Tesco secured second place, with 22.3 per cent share of the market, closely followed by SuperValu, with 22.2 per cent. Sales at Tesco were up by 4.7 per cent compared with last year, marking the fourth month in a row that the supermarket giant has experienced sales growth of more than 4%. Elsewhere, discounters Lidl and Aldi are tied in fourth position, capturing 11.2 per cent of market share each. Lidl recorded the second fastest growth rate during this period, behind Tesco, with sales increasing by 3.3%.